One of my favorite travel experiences occurred during my first visit to Rome, Italy, about ten years ago. There was a particular moment on that trip which I will never forget. 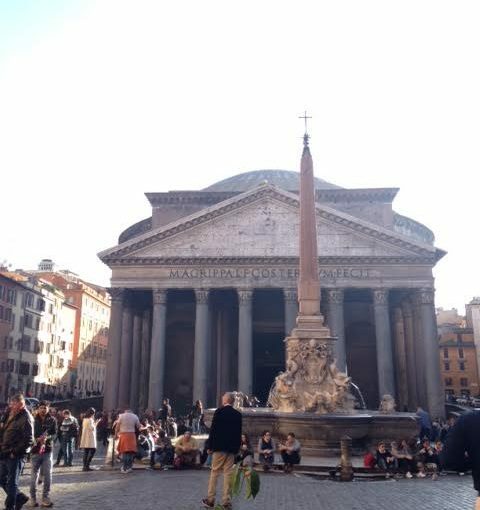 It was my first glance at the Pantheon. I was not prepared for what I saw, nor the education that this massive structure ultimately provided for me. On a walking tour along the compact Roman roads, my traveling companions and I visited Piazza Navona. From there, we headed to see the Pantheon. We walked down a narrow road and turned the corner to see a massive building, one that appeared larger still due to the angle from which we approached the square. Having assumed, incorrectly, that there was a walkway to lead tourists to this building, I was unprepared for the sight. I never expected to see a building of this size in such a location. As we entered, I noticed something else unexpected… open space.